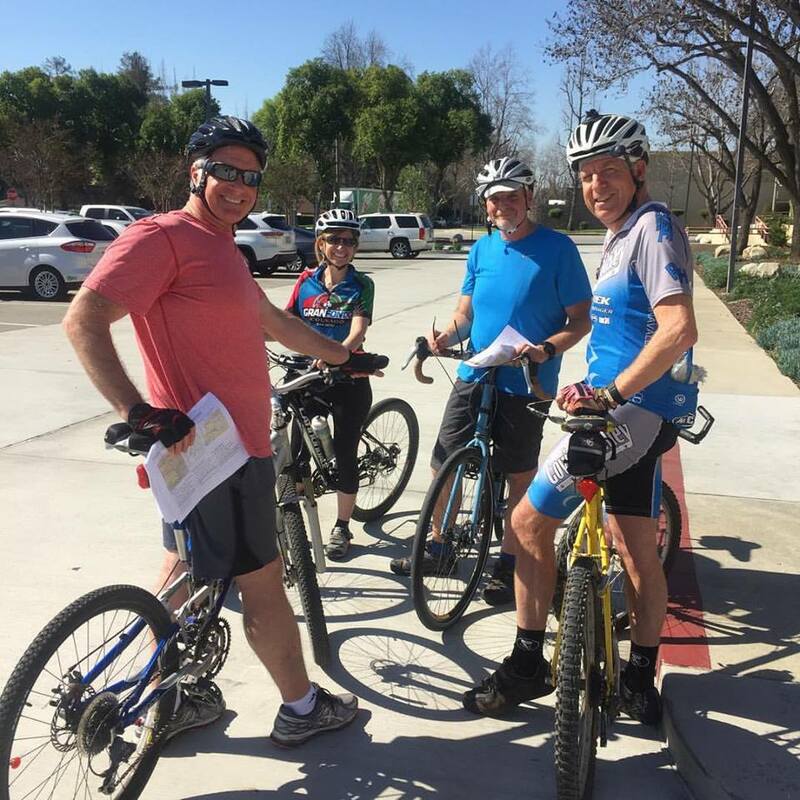 La Verne Mayor Pro Tem Tim Hepburn joined members of the La Verne Bicycle Coalition on an informational tour of existing and proposed bicycling accommodations in La Verne today. Cycling is a major proponent of La Verne’s developing active transportation plan. LA VERNE, California, Dec. 20, 2017 — Reality — a lack of real estate and the sheer might of the green-lighted Gold Line project — has just slammed the brakes on La Verne’s dream of having a Class 1 bike lane (paved right-of-way completely separated from the street) running along Arrow Hwy. Under La Verne’s plan, the proposed Class 1 lanes, buffering cyclists from three traffic lanes flowing both east and west, would have connected cyclists to the planned Gold Line station near Arrow and E.
The design, however, conflicts with the Gold Line’s desired route, particularly along Arrow between D and E Streets, which includes grade separations and no bike path. Additionally, the Gold Line’s right of way requires part of a third traffic lane along Arrow. 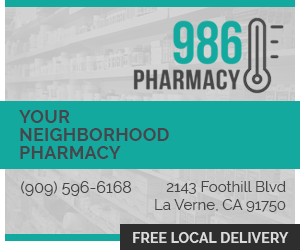 “There just isn’t enough room for them to do what they want to do and what we want to do,” he said, explaining new options that La Verne City Council members must now weigh. When the original bike paths had been conceived, the Gold Line was but a mere twinkle in the eyes of La Verne city planners. Planners were more concerned about the 210 than the Gold Line passing through La Verne. But today’s reality is the Gold Line is a $1.5 billion project and La Verne’s bike lanes’ initiative, is a $1.55 million project, supported by a Caltrans grant. Currently, the understanding with Caltrans is that if La Verne doesn’t provide bike paths along Arrow Hwy., Caltrans will pull all of the $1.55 million, which La Verne had planned to use not only along Arrow (estimated at about $250,000), but elsewhere throughout the city to create and maintains bicycle pathways. 2) Drop the third lane in both the east and west directions of Arrow and install a Class II bike lane (a striped, on-road bicycle lane to the right of the lane reserved for motorists) in both directions, which would satisfy Caltrans’ terms to maintain full grant funding. Choosing option one, however, would put a wrench in La Verne’s desire to close the “bicycle gap” or cycling “black hole” along Arrow Hwy., a major thoroughfare, leaving cyclists to fend for themselves. If it selects option two, the city would install bicycle lanes along Arrow and maintain Caltrans funding, but the Class 2 lanes would clearly be less safe than Class 1 lanes. Ideally, the city would like to retain all or as much of the grant money it has been awarded, so at the end the public discussion the council directed staff to keep the conversation going with Caltrans in the hope the state agency will modify its current position that La Verne provide Class 2 bike paths along Arrow in exchange for funding. As for those Class 1, wide and roomy bike paths separated and reserved for the exclusive use of cyclists, with minimal cross-flow traffic, well, the reality of the $1.5 Gold Line project has derailed that dream. The gears of progress don’t always grind ahead smoothly. I have to agree with those who say cycling on Arrow would still be dangerous with a bike path. Taking Bonita Ave is much safer for cyclists, prettier too. Why force it on Arrow just because there’s a grant? If it’s not right, it’s not right. Work it another way, or let it go. This is not a surprise to anyone. A small handful of special interest bicycle enthusiasts have cornered city council into making promises that could never be kept. A bicycle lane on any major motorway is a dangerous proposal, bikes lose in every collision. A class 1 bike lane on Arrow Highway may be all well and good for the handful of bicyclists who are riding the three miles between Fulton Road to San Dimas Canyon Road, but it seves very little practical purpose beyond that. Cyclists who really want to stretch their legs and ride can just go to the dedicated bike trail that runs from Azusa to the Pacific Ocean. La Verne cyclists who are trying to get around the city need a better plan than Arrow Highway. Let’s stop wasting our time and money on roadway gimmicks until we have a full and comprehensive traffic study of our city. This must include the Gold Line, the IS-210, and ULV’s unmitigated expansion projects.